Ending the year on a high at London’s Summer Drinks Party! 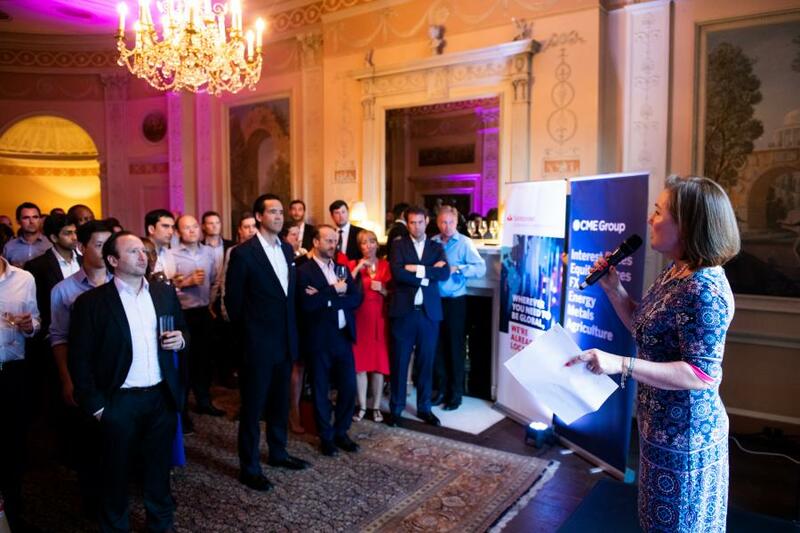 On Wednesday, 27th June close to 200 EM finance professionals, friends and colleagues came together at Home House in London to celebrate a fantastic year for EMpower and our partner organisations! We are most grateful to our lead sponsor Santander Corporate & Investment Banking, as well as CME Group without which this fantastic event would not have been possible! As EMpower’s fiscal year came to a close at the end of June, we wanted to take the time to thank our generous supporters for their continued commitment to empowering at-risk youth. Thanks to their support, we ended our fiscal year with more than $3 million awarded in 94 grants, directly impacting the lives of over 460,000 at-risk youth. During the event, we welcomed speeches from our President Marta Cabrera, UK Board Co-Chair Jeremy Llewelyn, as well as the Head and Managing Director of Santander Investment & Corporate Banking Juan Garrido and Javier Gozalo (respectively), who spoke about Santander’s long-standing support of EMpower. Guests were also introduced to EMpower’s latest video of the recent South Africa donor trip that took place earlier this year - a great opportunity for our donors to see directly the work that our grantee partners are doing. We are most grateful for everyone’s support and were thrilled to celebrate the past year with great company and weather! Photos of the evening can be found on our Facebook page here.